Regardless of our age, setting goals can be very beneficial. Goals keep us focused on positive things and help us make good decisions. One common way to set goals for ourselves is the tradition of making New Year’s resolutions. Resolutions are commitments or promises to make ourselves lead better, healthier, and happier lives. Although seniors may have already lived the majority of their lives, making resolutions for the New Year should not be limited to young people. For seniors who receive in-home care, caregivers can help them make reasonable resolutions that are easy to achieve. With a reliable home care system or home care software such as ClearCare Online, caregivers can easily track their senior client’s goals and progress towards reaching them. Making New Year’s resolutions does not have to be difficult; in fact – they should be focused on fun. Never set a goal with a negative attitude. Instead of “I’m overweight and need to diet,” tell yourself, “I want to lead a healthier lifestyle by making smarter meal choices.” It’s also important to be specific. Rather than claiming “I’m going to learn to cook,” set the goal of trying one new recipe a week. Small, attainable goals will encourage you to keep going. 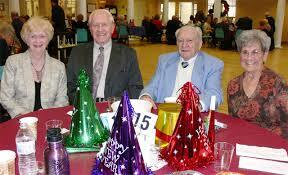 Here are a few ideas to help the seniors in your life set resolutions for the upcoming year. Develop or maintain a regular exercise routine. Regular exercise will help seniors stay fit and healthy as they age. Caregivers can note any restrictions or doctor’s recommendations in their home care software. Join a community project/activity. Whether it is participating in a community garden, bingo club, or church group, social interaction is incredibly beneficial for seniors. Being involved in the community can ward off loneliness and depression and give elderly ones a sense of purpose. Start a letter journal or scrapbook. Seniors are from an era when handwritten letters were a valued form of etiquette. Families can help elderly ones recapture the romance of letter-writing by purchasing a bound journal and writing a letter inside. The senior will then write a letter in return, and the journal is passed along again. A memory book of cherished photographs is another worthy endeavor. Both are creative ways to keep in touch with family and get to know each other better. Get involved with social media. Facebook, Instagram, Skype and the like are all great ways to communicate with friends and family both near and far. ClearCare Online’s home care system also connects families with state-of-the art technology. Family members can log into their home care software and view real-time updates of their loved one’s daily care. Learn a new hobby. Age should never be a reason to stop learning. Help the seniors in your life pick up a new hobby, or ask their in-home caregiver to assist. Caregivers who use ClearCare Online’s home care system can create daily reminders to make sure the senior makes time for enjoyable pastimes. Setting New Year’s resolutions gives seniors a sense of purpose. Using an innovative home care system or home care software to help seniors reach their goals will help keep them healthier and happier in 2014, and many years to come. If you have questions about ClearCare Online’s home care system or home care software, give us a call today.